Performers include: Britt Robertson, Thomas Dekker, Gale Harold, Phoebe Tonkin, Jessica Parker Kennedy, Shelly Hennig, Louis Hunter, Ashley Crow, and Natasha Henstridge. This fantasy TV series is based on the book series by L.J. Smith (author of The Vampire Diaries books). Cassie Blake (Britt Robertson) was a happy, normal teenage girl — until her mother Amelia died in what appeared to be an accidental fire. Orphaned and in mourning, Cassie moves to the beautiful small town of Chance Harbor, Washington to live with her warm and loving grandmother, Jane (Ashley Crow). It’s the town where her mother grew up and then left so many years before. It’s a place where the residents seem to know more about Cassie than she even knows about herself. At high school, Cassie connects with a number of classmates; sweet-natured Diana Meade (Shelly Hennig) and her handsome boyfriend, Adam Conant (Thomas Dekker); brooding loner Nick (Louis Hunter); as well as mean-girl Faye Chamberlain (Phoebe Tonkin) and her sidekick, Melissa (Jessica Parker Kennedy). Soon, strange and frightening things begin to happen. Cassie’s new friends explain that they are all descended from a line of powerful witches. They’ve been waiting for Cassie to join them and complete a new generation of the Secret Circle. Cassie refuses to believe them until Adam shows her how to unlock her incredible magical powers. Things become truly clear when, in her mother’s childhood bedroom, Cassie discovers a message from her deceased mother in an old leather-bound book of spells. It’s then that Cassie understands her true and dangerous destiny. What Cassie and the others don’t yet know is that darker powers are at play. There are powers that might be linked to the adults in the town — including Diana’s father, Charles Meade (Gale Harold), and Faye’s mother, Dawn Chamberlain (Natasha Henstridge). It’s also revealed that Cassie’s mother’s death might not have been an accident. Jake returns to Chance Harbor to warn Cassie that, unless they find out how her father was killed in the boat fire 16 years ago, she’ll meet with the same death. He suggests an extremely dangerous method to finally uncover what happened on that fateful day, but Adam and Diana suspect he has ulterior motives. In an effort to usurp the other, both Charles and Dawn try to get Ethan on board as an ally. Faye gets trapped in a dangerous situation when one of Lee’s friends, Callum stops by the shop. First aired: May 10, 2012. 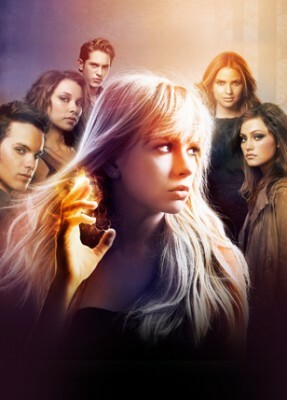 More about: The Secret Circle, The Secret Circle: canceled or renewed? The Secret Circle: Is the New CW TV Series Worth Watching?